I have an iPad 2 and have been using a thin, minimalist case called the ESR Yippee Color Series Smart Cover. Although I really like it, I’ve been in search of something better. A case that provides a bit more protection over what I currently am using. 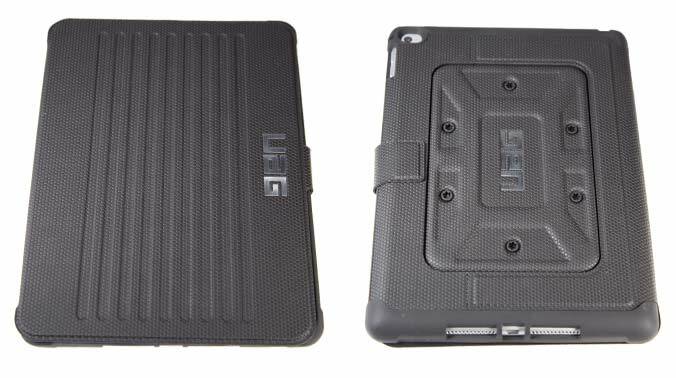 I was sent a UAG (Urban Armor Gear) Folio Case for iPad Air 2 for review (Amazon price is $39.95). 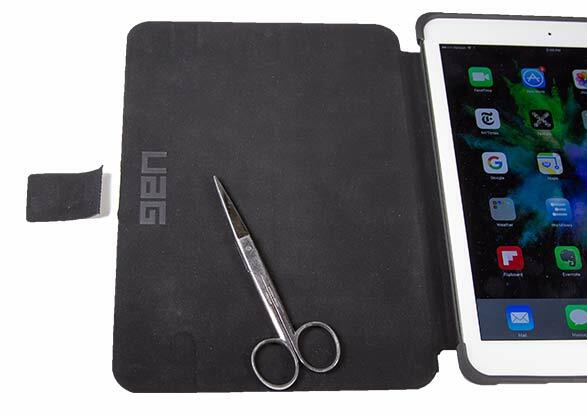 I swapped cases, snapping my iPad into the more substantial UAG Folio Case. It fit perfectly. All the cutouts were exact. There was plenty of room for my lightning cable to plug in. Photos of the armor-like case makes it appear bulky and heavy. It is not. The material is very lightweight. Its textured surface makes it easy to handle without slipping. 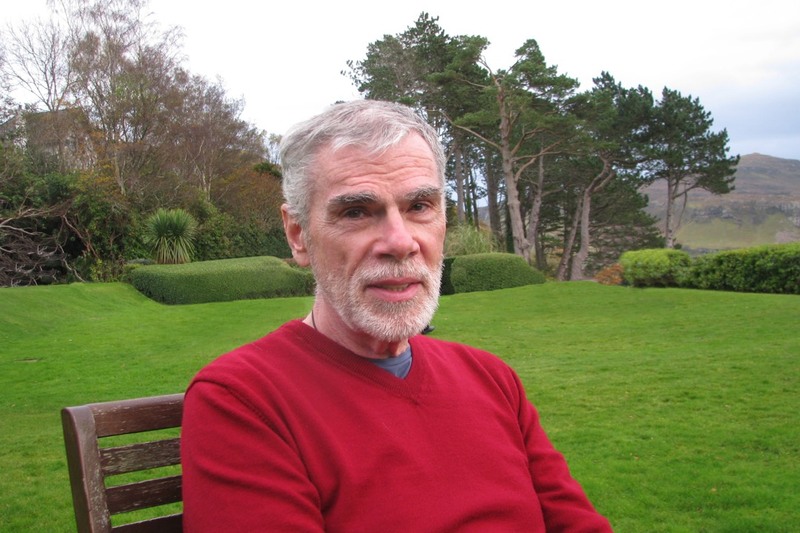 There is no (unwanted) rubber-like smell that I sometimes encounter with other cases. I give it high grades for quality. I like the way the corners of the case are thicker than the rest of the perimeter. This ensures that glass screen is always kept away from whatever surface it might be resting on. 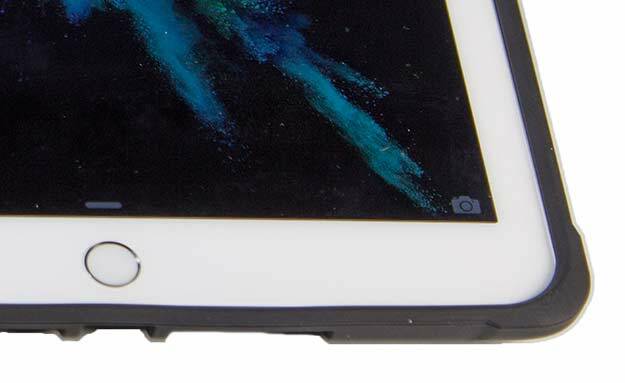 The beefy corners also provide more shock protection if the iPad is accidentally dropped (which I did NOT test!). 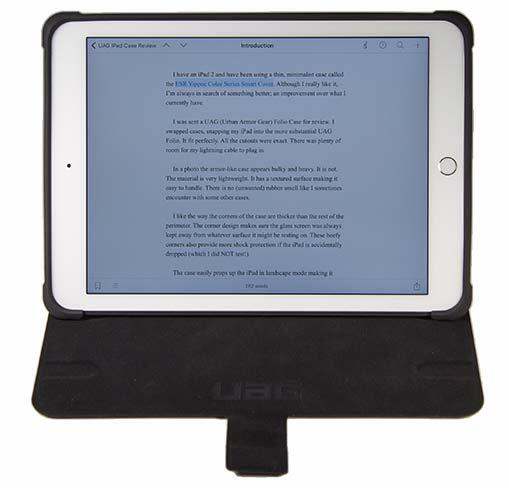 The case easily props the iPad up in landscape mode making it simple to view or use with a Bluetooth keyboard. The only thing I didn’t like about the case was the little flap that’s used to keep the case closed. There’s a magnet inside it that sticks to the opposite closed surface. I didn’t think it was needed. 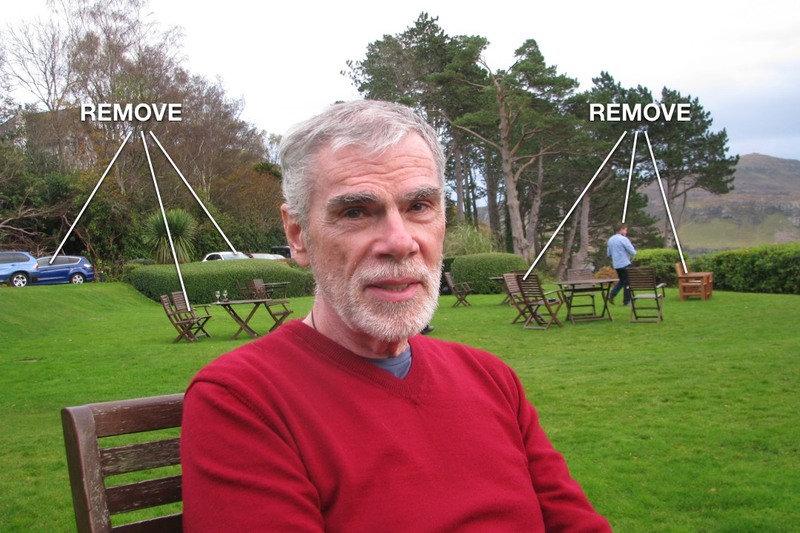 It really annoyed me to the point where I considered it a functional flaw. So… snip snip. I cut it off! I like the case much better without its flap. And that’s good, since there’s no turning back! Bottom line: I really like this case. My rating is 4 out of 5.